After months of sleepless nights and surviving the labor pains, you finally hold your baby in your arms. The joy you feel is beyond everything you experienced before. 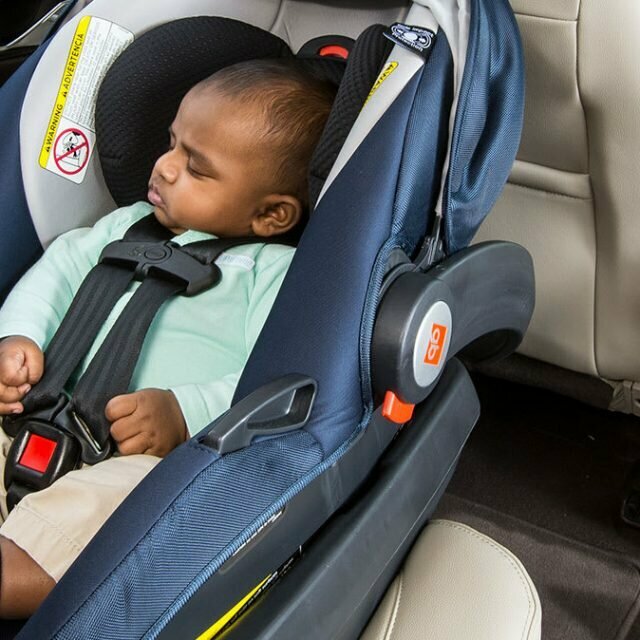 You make sure that all your baby’s needs are taken care of at all times. Good sleep is extremely important for the baby. It determines the mood of the baby and takes care of its health. Therefore, a mother puts her best effort to make sleep peaceful for the baby. She wraps the baby in a blanket tightly enough to restrict any movement of the limbs. This is known as swaddling. Swaddling has been in practice for centuries. It is used by women to make their babies feel secure and warm while they sleep. Babies often jerk their bodies during sleep. They also get disturbed by their own startling reflexes. Mothers use swaddles so that babies do not get scared and wake up crying. Choosing to swaddle the baby depends solely on the mother. They can choose not to practice it if they want. However, if they choose to swaddle their baby, there is a proper way to do it. The following simple steps can be followed. Spread the blanket on the surface in a diamond shape. Fold a couple of inches of the top corner of the blanket. Gently place the baby on the top of the blanket so that its head is above the folded corner. Life the right arm of the baby and wrap the side across its body to the left. Make sure the blanket is snug underneath the baby so it is not loose. Bring the bottom corner of the blanket straight up so it comes as high as the baby’s neck. Lift the left arm of the baby and wrap the left corner of the blanket across the baby to the right side. Use a safety pin to hold the sides together. The baby will now sleep soundlessly. Swaddling gives the baby the warmth and security of being in the womb. This is why they tend to fall asleep quickly when swaddled. If a mother chooses to swaddle the baby, she must start to do so from the very first day. If it is introduced a few days later, the baby will find it difficult to register and get used to it. Babies often get startled by their own reflex. They often jerk while sleeping which looks like they are afraid. This is when swaddling comes handy. Wrapping the baby tightly prevents it from waking up suddenly. Using this technique is also beneficial for parents. They feel relaxed as the baby sleeps longer without waking up repeatedly. 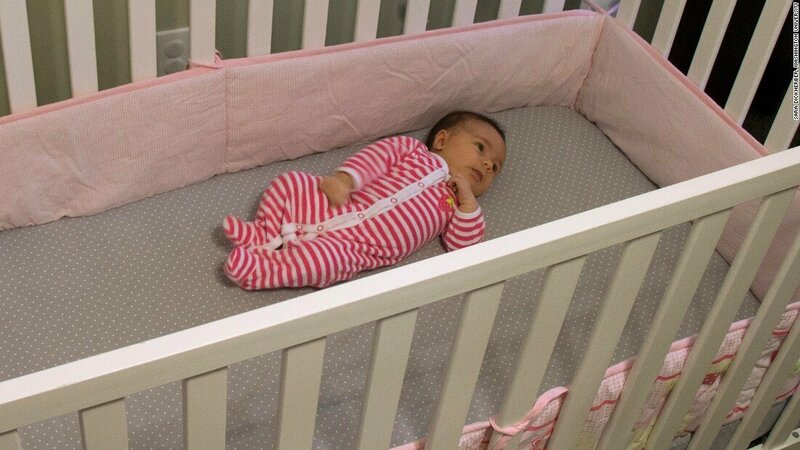 It also prevents face scratching and reduces the need for placing pillows in the crib. However, if swaddling is not done the right way, it may prove to be harmful to the baby as well as the parents. If the baby is swaddled too tightly, it may affect its mobility. It is important for the baby to be able to move a little and not to feel suffocated. Wrapping tightly may cause the baby to develop hip dysplasia – an abnormality where the socket does not fully cover the ball portion resulting in hip dislocation. Researchers believe that the incorrect way of swaddling is one of the causes of SIDS (Sudden Infant Death Syndrome). This unexplained death is caused by defective portions of a baby’s brain which control the breathing. In order to prevent these risks and for the safety of the baby, it is important to swaddle the baby the right way. Even though swaddling is one of the best techniques to put your baby to sleep, there is a time to do it. The nurses teach the mothers the correct way when the baby is born. As the baby gets older, the need to be swaddled slowly diminishes. Mothers can test if their baby is ready to sleep without a swaddle using a simple trick. They can release one arm from the swaddle while wrapping. If the baby gets fussy or starts crying, it still needs to be swaddled. But if it sleeps soundlessly, it is time to move forward. It is important to note that the mothers do not remove the blanket all at once. They must introduce the transition slowly so the baby does not get irritated. First, take out one arm from the swaddle. After a few days, take out the second arm. When the baby gets used to it, remove the blanket. Still, keep the blanket freely on top for a few days. Once the baby starts rolling over on its own effort, it is time to fully remove the swaddle. Usually, a baby is ready to roll over in about two to three months. Sometimes, it takes even longer than this but there is no need to worry. Every baby grows at its own pace. Most mothers find this technique to be a blessing in disguise. As the baby sleeps peacefully, it gives the mother the comfort she seeks for her baby in the early days. In the initial stages, the baby is developing, so the practice needs to be introduced early and carefully removed when the baby grows. Mothers must make sure that the cloth they use is light and soft so it does not suffocate the baby. It must be wrapped tight enough so the baby’s limbs do not move but loose enough so it can breathe easily. Many times, babies resist swaddling so parents think they do not like it. This is because in the womb their resting position is with their arms up. So when the mother tries to wrap them up, they resist but it does not mean they do not like it. The baby lets the mother know on its own when it is ready to sleep freely like a big kid. Why Are Breastfeeding Pillows Great and Which Ones Are the Best?